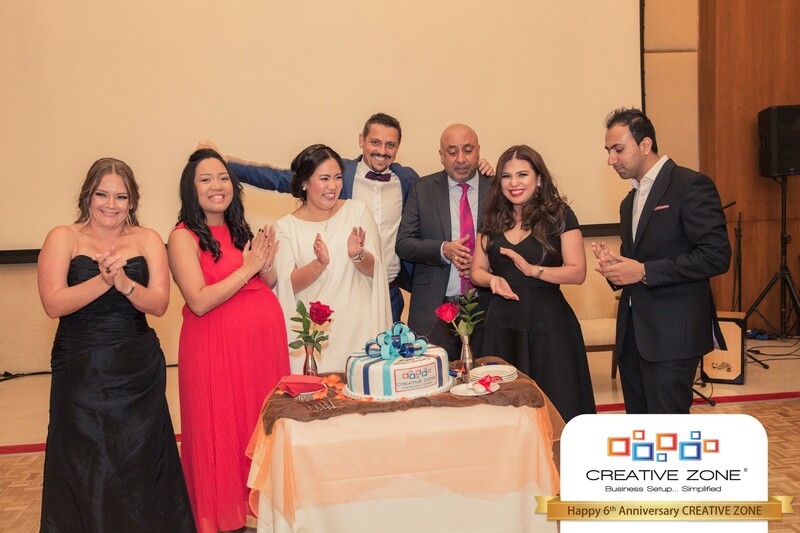 This year CREATIVE ZONE celebrated its sixth year anniversary. The company has achieved exceptional and measured yearly growth in an increasingly competitive market, while never forsaking its commitment to customer service. Co-Managing Directors Steve Mayne and Mahesh Dalamal established CREATIVE ZONE in 2010 to meet the needs of UAE’s fast-growing entrepreneurial and business startup sector. Their vision was to launch a client-focused platform; a simple and logical company registration process based on best industry practice, coupled with premium client services and affordable packages. CREATIVE ZONE now provides business setup advisory services for more than eleven jurisdictions including Offshore and Onshore options and several Free Zones. A company-wide commitment to achieving optimum customer satisfaction has resulted in a consistently above-average rate for referrals and renewal business. To date, more than 4,500 entrepreneurs, SMEs and global corporations have entrusted their trade license management to CREATIVE ZONE. Managing Director Mahesh Dalamal attributed CREATIVE ZONE’s success to team-work and dedication. CREATIVE ZONE launched in Dubai in 2010 with five staff including the two Managing Directors. In six years, the team has grown to eighty-eight, operating from three offices, with clearly defined departments including Marketing, Sales, Operations, HR and Finance. Each year the management team present achievement awards to key team members that have consistently demonstrated a commitment to the company’s mission, work ethic and leadership.